B. Braun’s OEM Division delivers complete contract manufacturing capabilities for a multitude of markets including surgical, pharmaceutical and biotech. With three global divisions (Europe, Asia-Pacific and North America), B. Braun’s OEM Division offers wide-ranging and complementary capabilities resulting in new products, expanded production, cost efficiencies, and country-specific knowledge. And through our Sharing Expertise® initiative, you have immediate access to B. Braun’s renowned manufacturing and engineering capabilities cultivated over 175 years in the medical device business and more than five decades serving OEM customers. B. Braun is one of the country’s leading custom kit manufacturers. Our flexible capabilities enable us to package our standard components with your proprietary items to meet end-user demands. We offer rigid trays, blister packs and pouches as well as an in-house multi-color print shop for labeling. 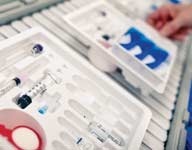 Our engineering and design team will help you optimize performance, sterilization compatibility and cost-effectiveness. 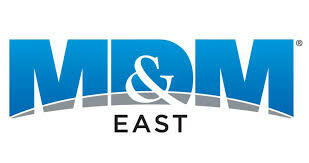 We have one of the largest ISO 11135-validated sterilization facilities on the East Coast. Our engineers will ensure packaging integrity is maintained based on ASTM standards. 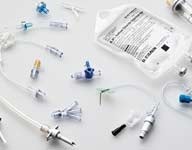 Our broad admixture product portfolio includes DEHP-free and PVC-free bags as well as needle-free devices. B. Braun products add value to your brand by making your customers’ jobs safer, easier and more efficient. 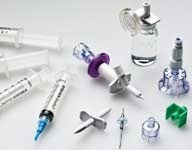 Our products can accommodate fluid and container selection, reconstitution and fluid dispensing, fluid filtration, direct fluid transfer, and capping and securing medication. B. Braun offers a broad range of parenteral pharmaceutical solutions, including standard IV, irrigation, nutrition and anti-infective therapy. 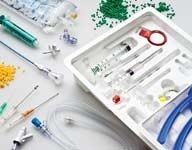 Our EXCEL® and PAB® containers and DUPLEX Drug Delivery System feature biologically inert, PVC-Free and DEHP-Free, non-toxic plastic construction for a safe, accurate means of administering IV medication. 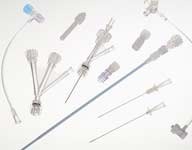 B. Braun manufactures interventional products covering a multitude of applications and procedures. 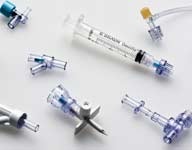 Our extensive product line covers hemostasis valve adapters, hemostatic y-connectors, touhy borst adapters, torque devices, introducer needles, and inflator syringes.